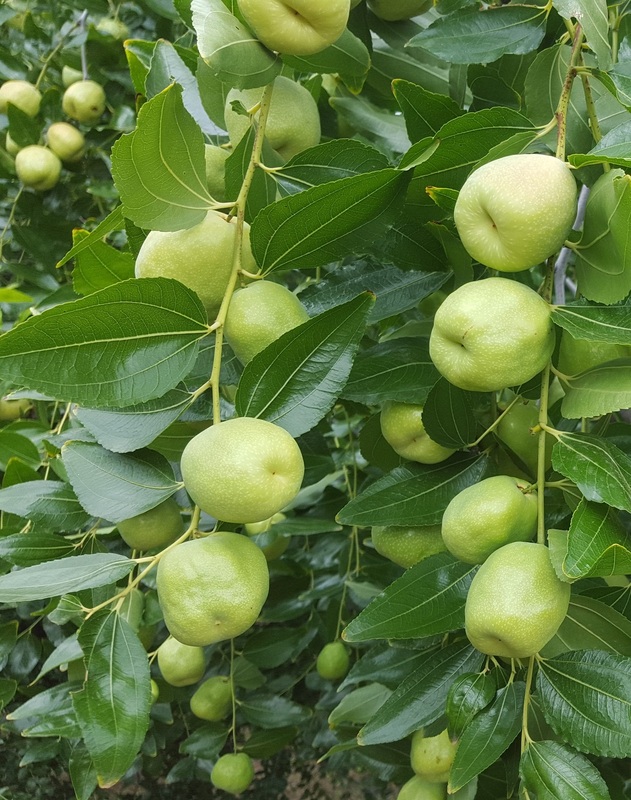 Our Chico jujubes are ripening! This means that you can order our sweet and crunchy Chico jujubes right now from our website. 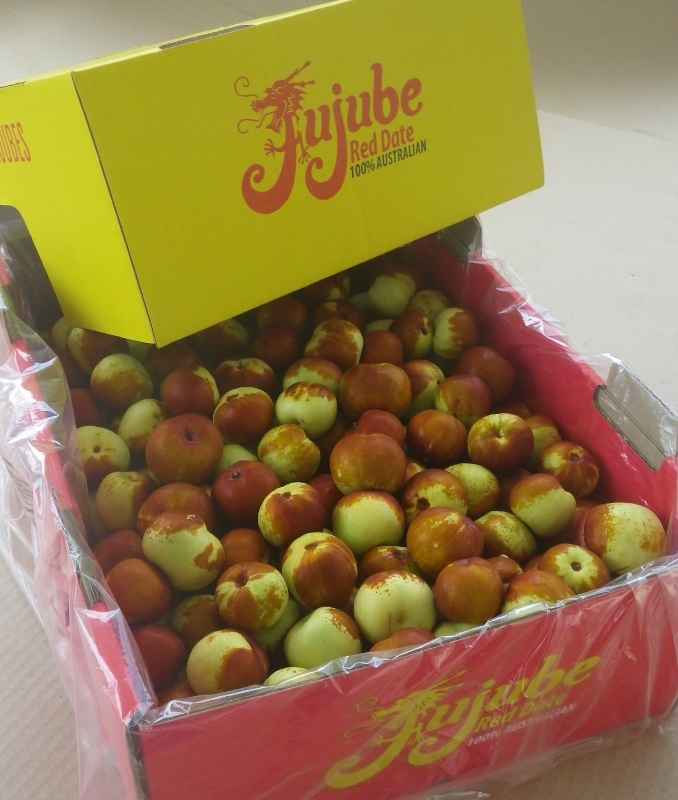 And we have a surprise too – an option to purchase a beautiful, high quality gloss box that holds 1.5 kg of fresh jujubes – a perfect gift to surprise your family and friends and help celebrate the Lunar New Year. Celebrate the Lunar New Year with FREE tastings of our new and decadent jujube chocolate range! 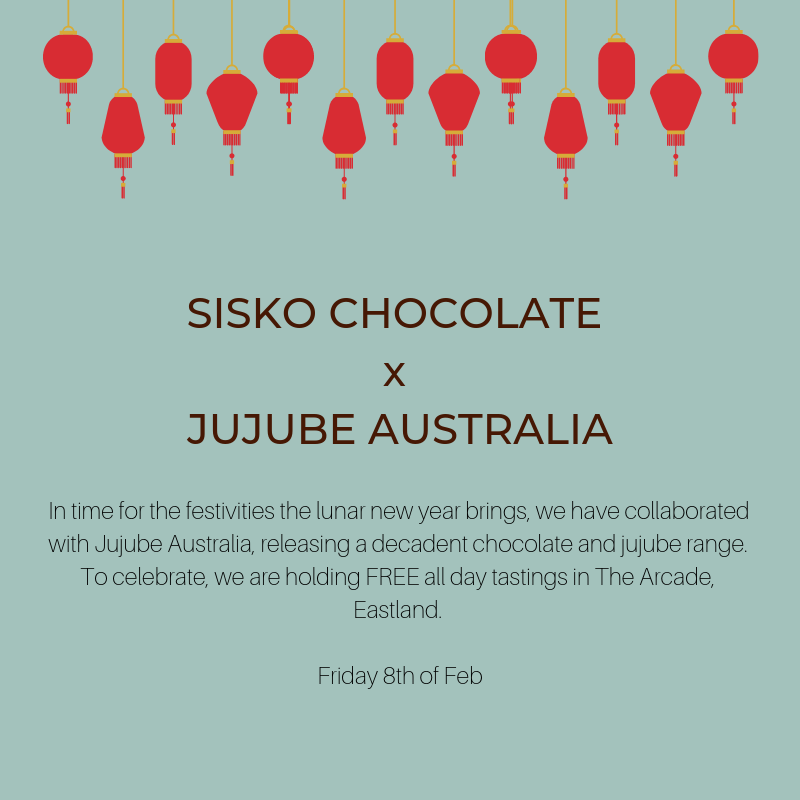 Jujube Australia has collaborated with Sisko Chocolate to offer FREE tastings this Friday 8th Feb at Eastland in Melbourne. Tastings run all day or until our delectable chocolates run out! 2017 dried jujubes are here! 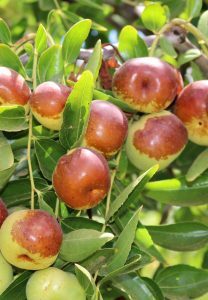 Our 2017 jujubes are now available to purchase! After being dried to be just right, our nutrient packed jujubes are delicious and chewy and ready to be devoured! 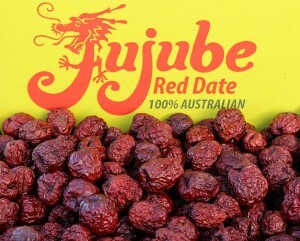 You can buy our dried jujubes at http://jujubeaustralia.com/buy-dried-jujube/. Our quality is excellent this year and stocks are limited! 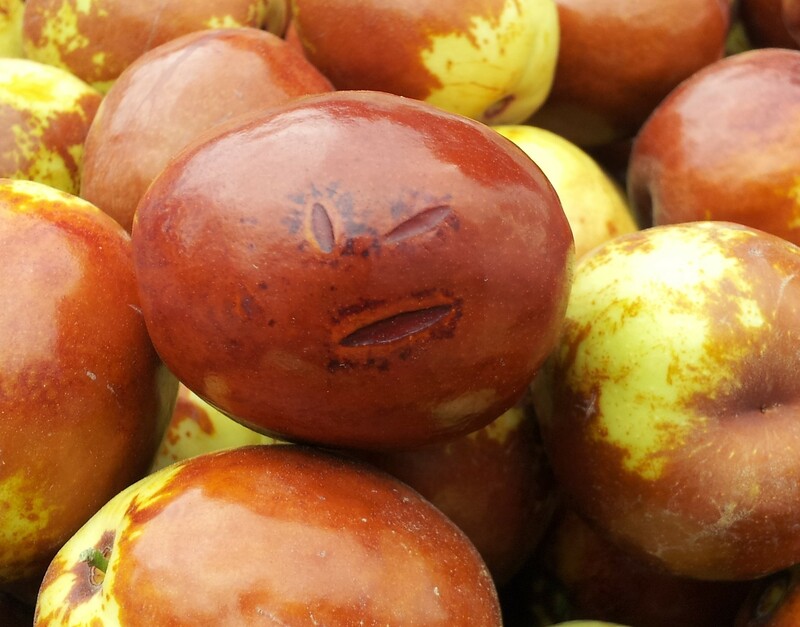 Our jujubes are packed with personality, none more so than this character that we discovered during our 2015 harvest. 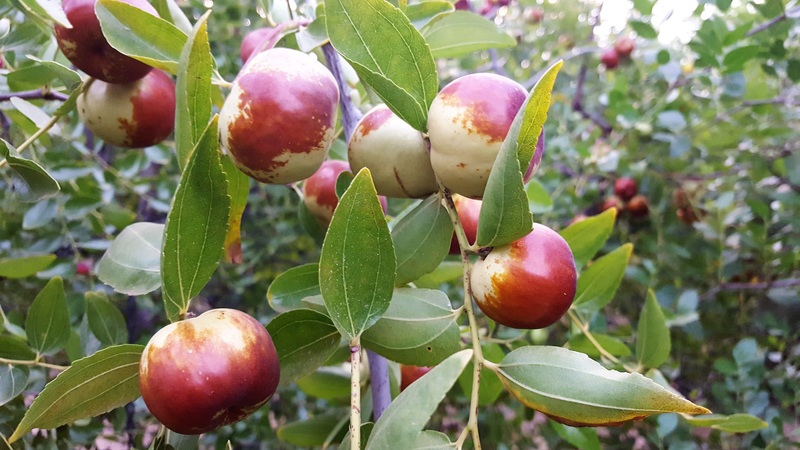 We named this jujube Finn. 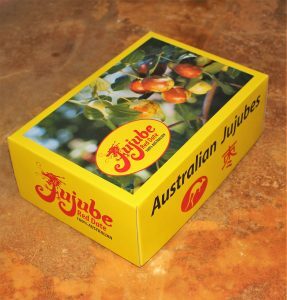 Needless to say, nobody at Jujube Australia could contemplate eating Finn the jujube, so Finn took pride of place on a shelf in our packing shed where he kept a close eye on the harvest. 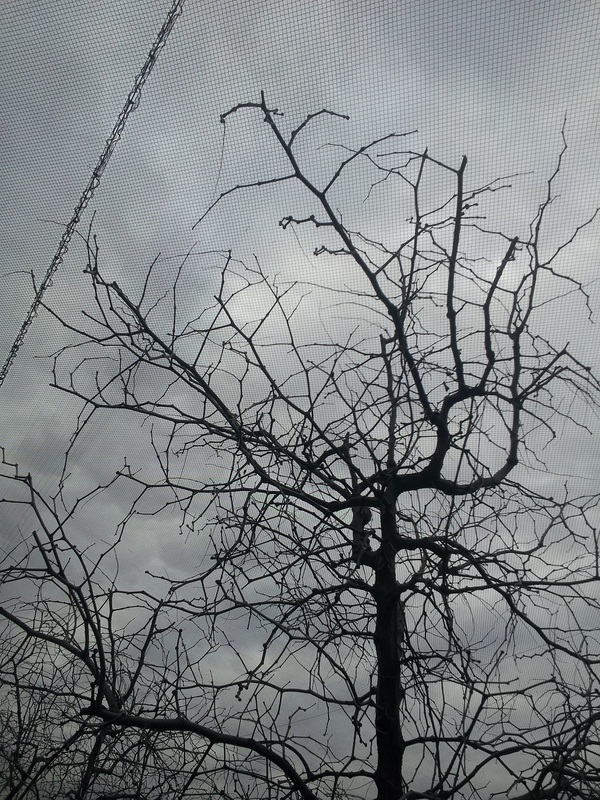 Look up in the air – it’s, it’s…netting! Phew! The wait is over! 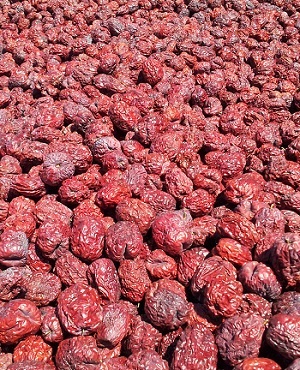 Our 2015 harvest jujubes have been fully ripened on the tree, then carefully picked and dried to transform into delicious and chewy red dates. Your patience is now rewarded with sweet and nutritious jujubes to sustain your body and soul – enjoy!